I am a snuggler. My big girl is a bed hog and my husband likes his space. My dog will gladly let me sleep all wrapped up in him but he sheds like… well, a dog and he does not always smell fabulous. For the better part of the last thirty-five years I have fallen asleep with my Snoopy in my arms. My little girl is currently taking the place of my Snoopy. 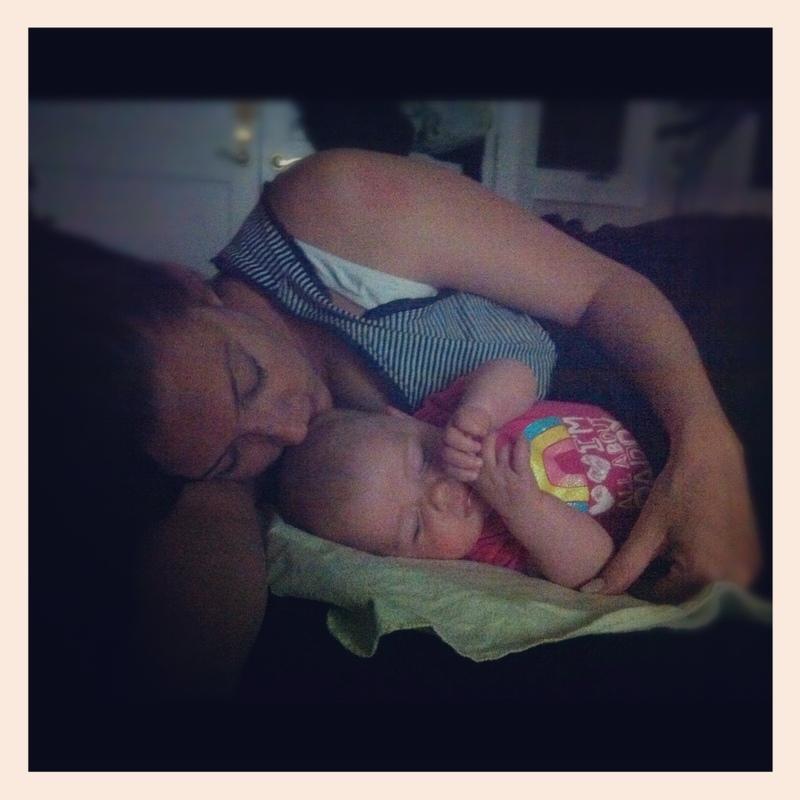 Co-sleeping is an integral part of my parenting philosophy. It is also an excellent way to go to bed at 8:15 for the first year of your child’s life. I rock in my chair and hold my sweet girl and eventually I say that I am going to “put her to bed.” Those unaccustomed to my techniques might wrongfully assume that I will come back out of my bedroom at some point. It’s not likely. Snuggled with my girl, lights out, pajamas on… no promise of a glass of wine, a movie, an adult conversation can keep my eyes open long. And even if I can stay awake until she is peacefully slumbering there is always the risk that she will wake and I’ll be gone. And then we will have to start all over with our bedtime song and dance. I don’t know how many times I have written of my love for Snoopy. I love him. I do. And last night I loved him even more. It seems I can sneak out of bed if Snoopy hops in my place, nestled against Lucy he keeps her warm and smells like Mom. 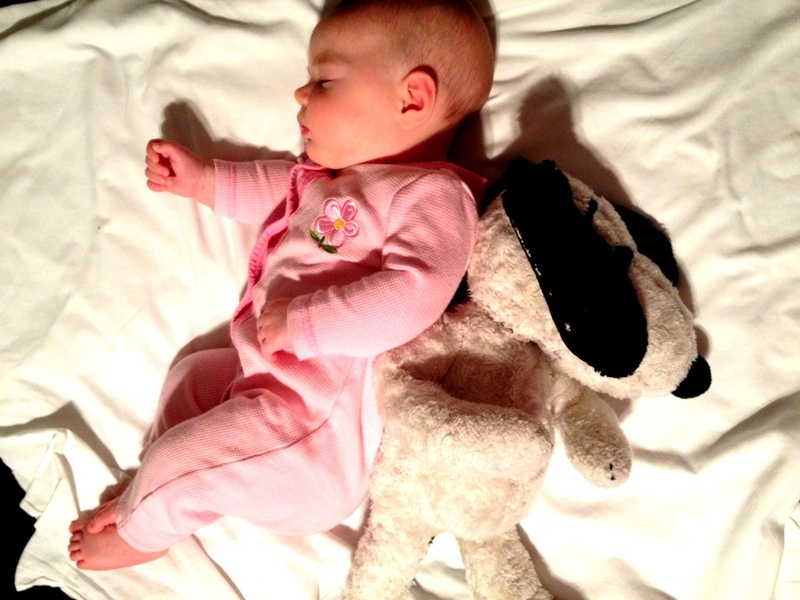 This entry was posted in Attachment Parenting, Parenting and tagged attachment parenting, co-sleeping, Lucy, Snoopy. Bookmark the permalink. That’s adorable. There’s a bear that lives in bed with my 7 1/2 month old, me and my husband that I keep between my knees at night. Until recently, if I had to get up I’d snuggle the bear up to her and she’d stay asleep. Lately she’s been more of a light sleeper and wakes if I’m not there, so I just take her with me now. But it was so cute to see her snuggled up with the bear while it lasted. I just love your photo. I love that snoopy can sub in for Lucy or you.